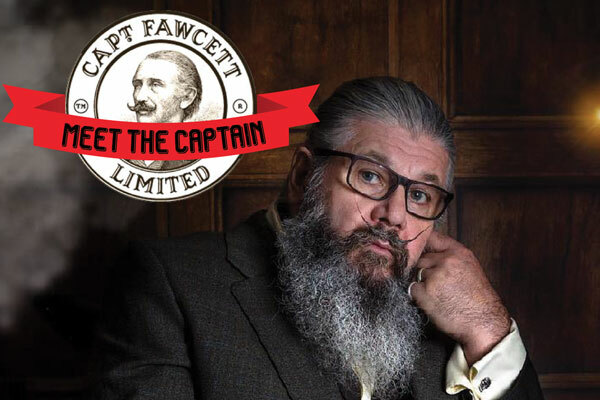 Don’t miss your chance to meet the one and only Captain Fawcett! The Cutthroat Journal and Barber Brands International invites all barbers to join us for a night of food, drinks and entertainment at Brisbane’s much-loved Brooklyn Standard Bar. During the evening the infamous Captain Fawcett will be taking the stage for a unique and entertaining presentation. This is a rare and exciting chance to catch one of the international barber industry’s most interesting and loved characters – not an opportunity to miss! It’s no secret that barbers know how to party and with live bands performing into the night this is going to be one to remember! First 100 tickets sold go in the draw to win! No part of this publication may be used, reproduced or transmitted in any form or by any means without prior written consent of the publishers. DISCLAIMER: A large portion of original material is created by Cutthroat and its contributors, including text, fonts, photography, and art work - content used from public domain like social media sites we agree are not the property of the Cutthroat Journal, and in all cases media permission has been sought via electronic or verbal agreement. The content and views expressed in this journal by individuals and the Cutthroat Journal are provided in good faith as information only. No guarantee is made of the accuracy of the information provided. The Cutthroat Journal takes no responsibility for any action taken by others as a result of the content of this site.